One objective of structural coverage analysis according to RTCA DO-178C for avionic software of development assurance level A (DAL-A) is to either identify object code that was not exercised during testing, or to provide evidence that all code has been tested in an adequate way. Therefore comprehensive tracing information from source code to object code is required, which is typically derived using a manual source-code-to-object-code (STO) traceability analysis. 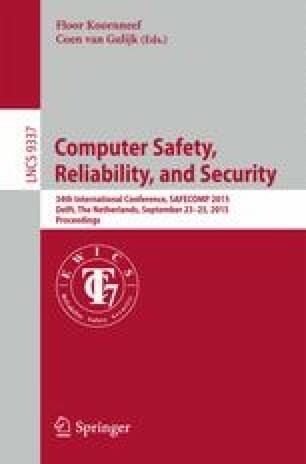 This paper presents a set of techniques to perform automatic STO traceability analysis using abstract interpretation, which we have implemented in a tool-suite called Rtt-Sto. At its core, the tool tries to prove that the control flow graphs of the object code and the source are isomorphic. Further analyses, such as memory allocation analysis and store analysis are then performed on top. Our approach has been applied during low-level verification for DAL-A avionics software, where the effort for STO analysis was significantly reduced due to a high degree of automation. Importantly, the associated analysis process was accepted by the responsible certification authorities.